Math and science are important subjects for middle school students to learn. These two subjects are used in a variety of professions, from computers to medicine. It’s important for students to know the fundamentals so they can be poised for success in high school, college and beyond. As a middle school teacher, it’s your responsibility to ensure that the content you plan to teach your students meets Pennsylvania standards at the state and national levels. That’s what the Praxis II PA Grades 4-8 Mathematics and Science test covers. For the math portion, you will be tested on basic operations, algebra, graphs, geometry, probability and statistics. The science portion focuses on physical and life sciences, earth and space sciences, various elements of science and the impact of science on the environment and everyday life. 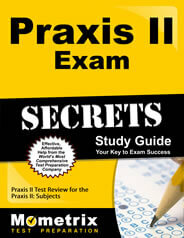 The Praxis II PA Grades 4-8 Mathematics and Science exam covers a wide range of material. Wouldn’t it be nice if you could simply study for the concepts and subjects that are covered on the test instead of having to cram everything? 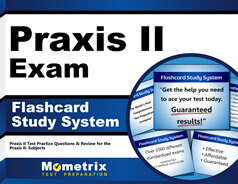 The Praxis II PA Grades 4-8 Mathematics and Science (5155) practice test can help. By taking the practice test, you’ll get a feel for the live test. You can make the most of your studying time by incorporating a study guide. The Mometrix Test Prep Team offers an accompanying study guide to help you maximize your learning and help you feel confident on test day.